Hi, my name is Matt and I'm the person who did all the etching at Scribblestone on the pieces of the Cambridge Rules scultpure. 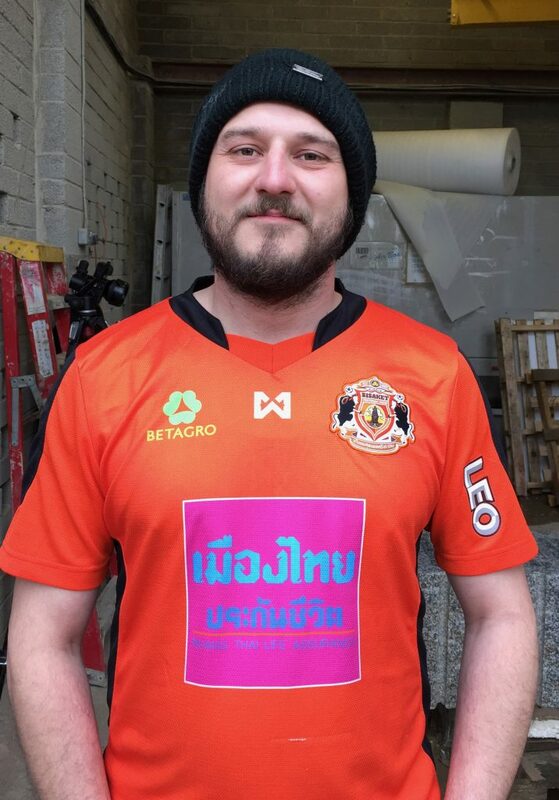 This is my wife's football shirt from where she grew up in Thailand. They play at the Sri Nakhon Lamduan Stadium in Sisaket. It is a very bright kit!